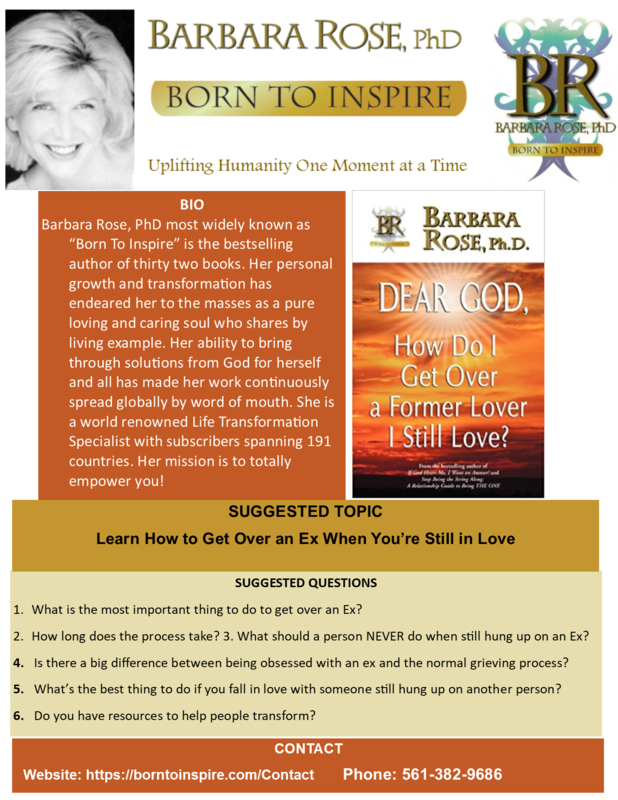 Barbara Rose, PhD is the bestselling author of thirty two books, including the Amazon bestsellers Stop Being the String Along, Individual Power, If God Hears Me, I Want an Answer! and Know Yourself. 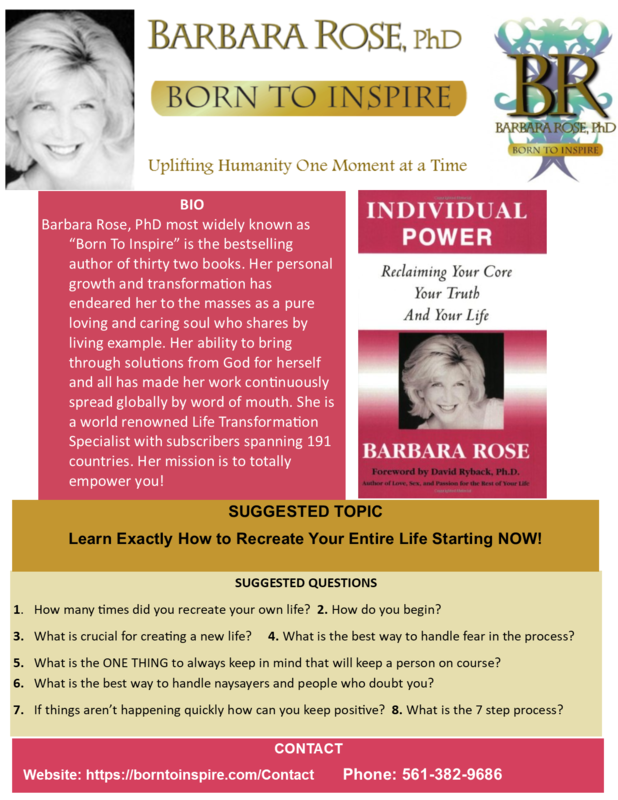 She is a world renowned Life Transformation Expert. Her personal growth and transformation shared with millions of people from every part of the world has endeared her to the masses as a pure, loving and caring soul who shares by living example. 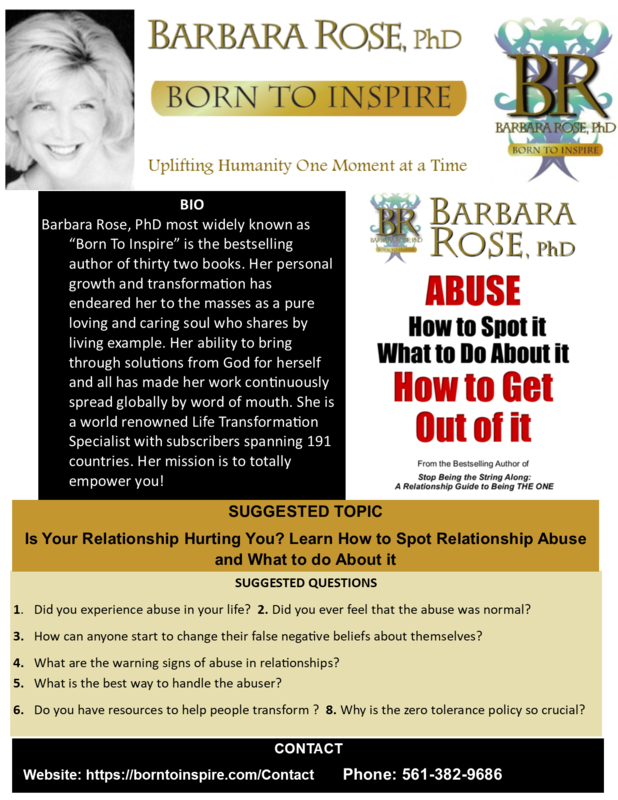 Her ability to take the most difficult personal topics and bring through the solutions for herself and all has made her one of today’s most loved and respected Life Transformation Experts. 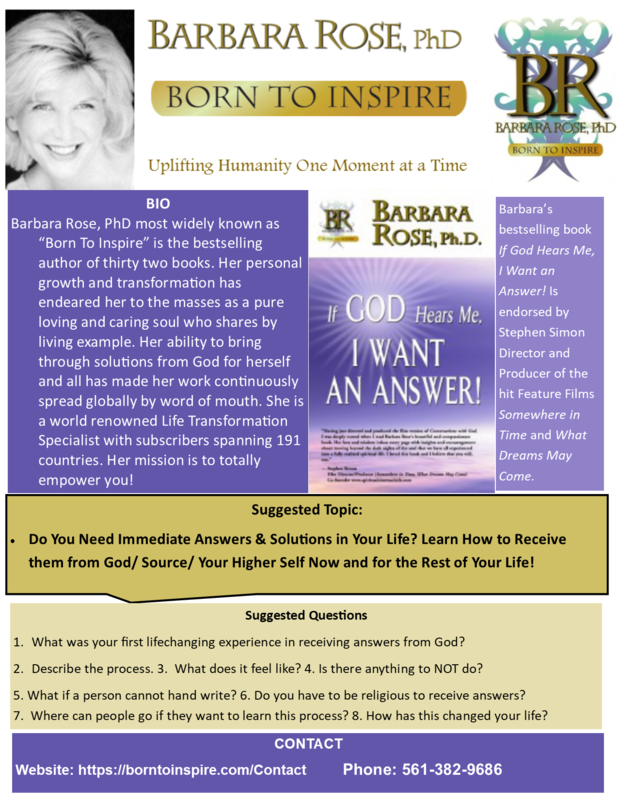 She shares with all of humanity how to achieve the highest level of consciousness awakening: the nondenominational process of receiving answers from God/Higher Self. 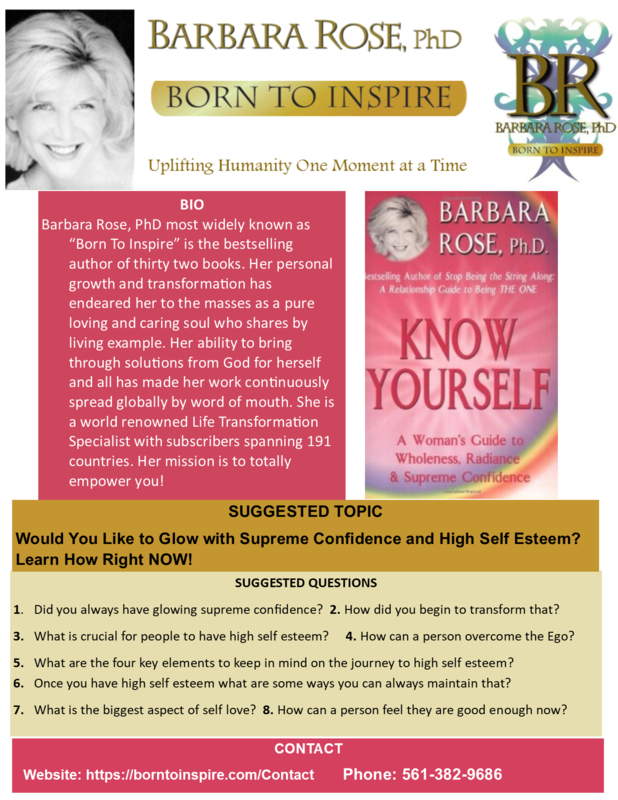 Her subscribers span 191 countries and her highly sought after work is continuously published and shared uplifting the mass consciousness across the globe. 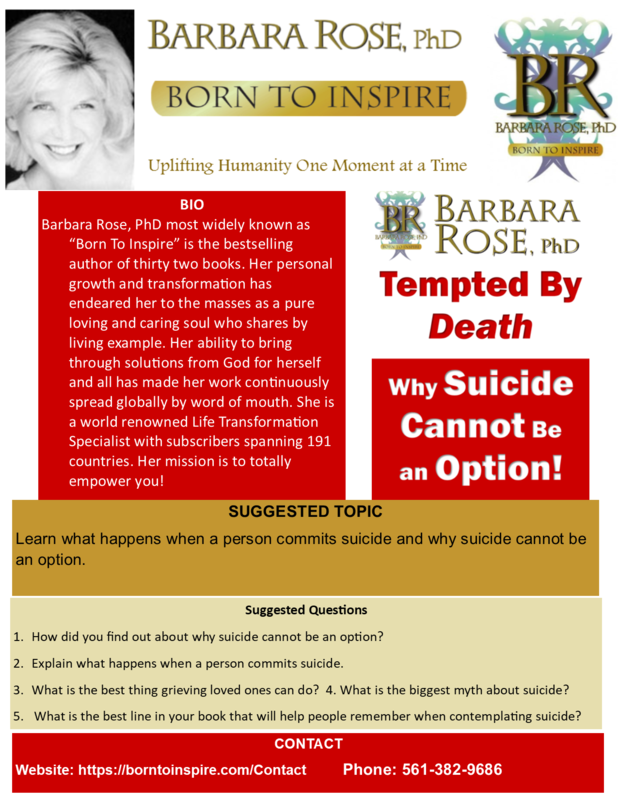 Her official website is BornToInspire.com. 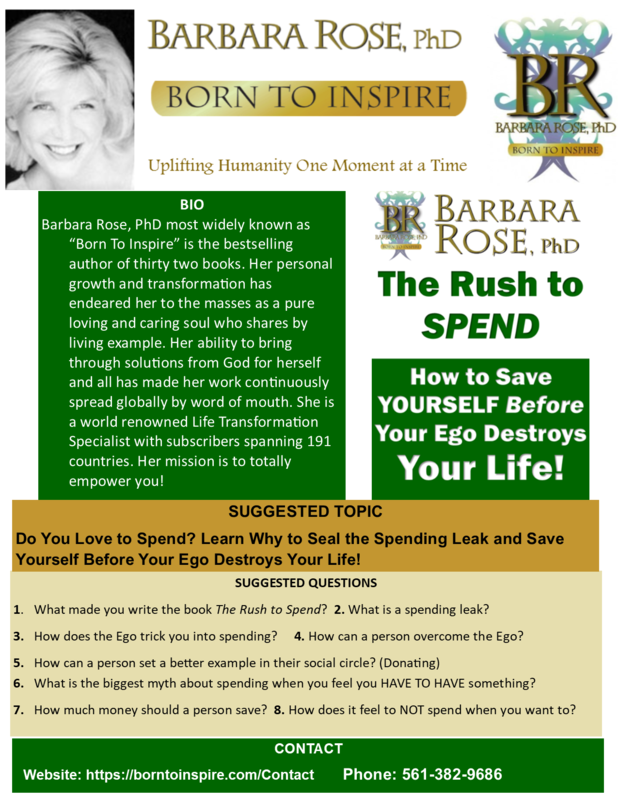 Barbara is now launching International PR Campaigns in print magazines, online ezines websites, International radio, National TV, podcasts, and international interviews sharing both the messages in her groundbreaking books and promoting her sponsors. 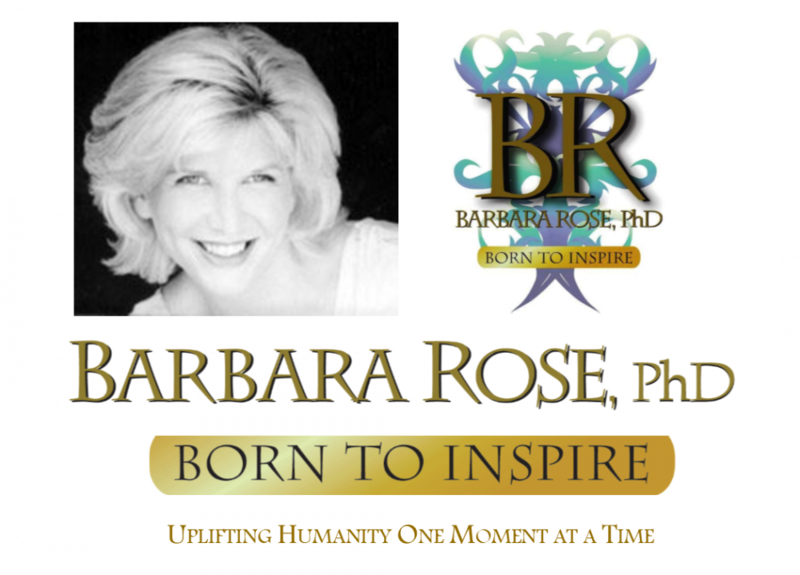 Metatron/i-Mobilize (MRNJ) Best-Selling Author Dr. Barbara Rose Signed to App Deal!